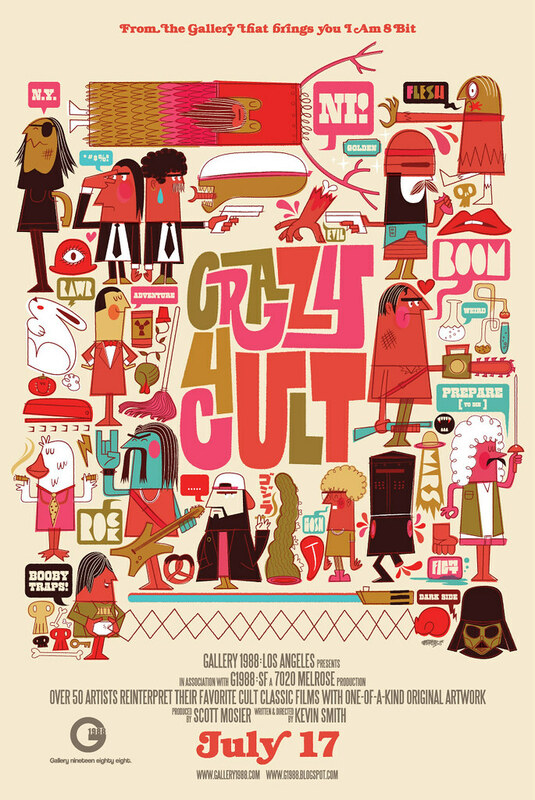 Crazy For Cult is an annual event in which artists reinterpret cult films. The poster above is from last year. I'm not quite sure if it's a throw back to anything in particular but I love it. More information about the print and the artist is available here. 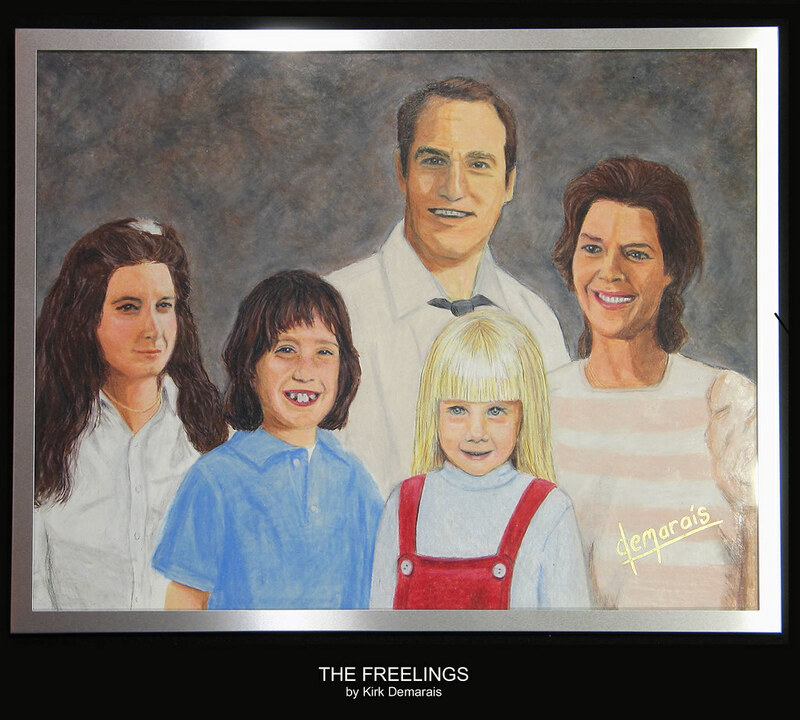 The real treat is the work done for this years' by Kirk Demaris. 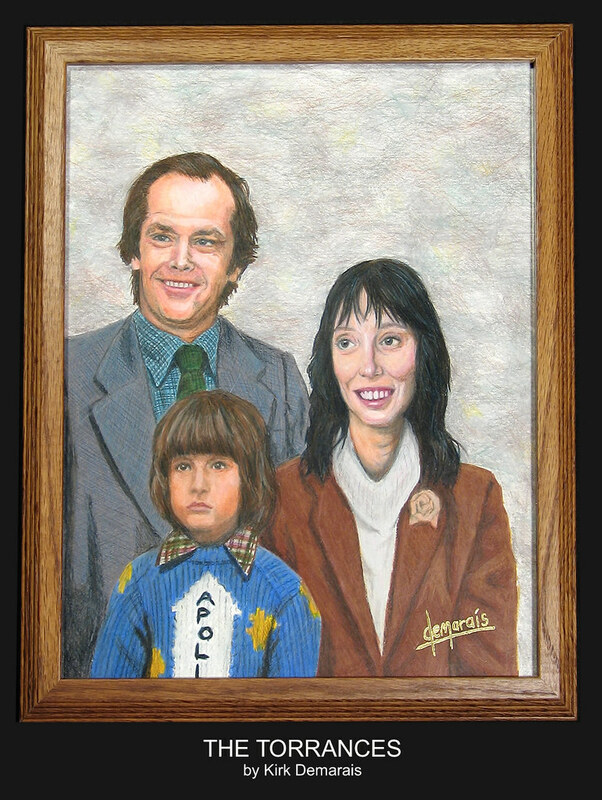 He has managed to capture the crude style and sometimes janky composition that is found in painted family portraits. He has lovingly recreated two tragic tribes above (sorry about your teeth kid) and below (why the long face Doc and the little boy that lives in your mouth). What I want to know is, where do all of the actual movie props go? You know the portraits you see on the wall in the background. Please tell me they do not get thrown away. I know someone that would give them a good home. Me.